The 600-cell has 1200 triangular faces. The two 600-cells are formed from 2400 separate triangles with (7×2400=16800) geometrical elements. The 16800 yods surrounding the centre of the 7-pointed star denote the 16800 geometrical elements of 2400 separate triangles. The 600-cell has 1200 triangular faces. A triangle has three corners, three sides & a triangular area, i.e., seven geometrical elements. 1200 separate triangles with (7×1200=8400) geometrical elements come together to form the 600-cell with 840 vertices & edges. 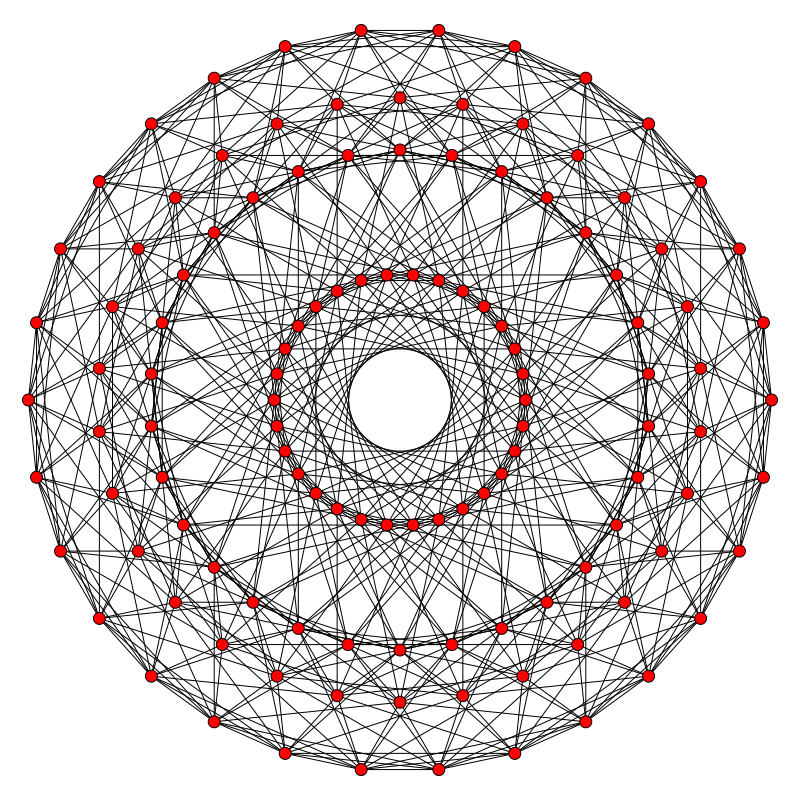 The compound of two concentric 600-cells is formed from 2400 separate triangles with (8400+8400=16800) geometrical elements. Compare this with the UPA, whose outer & inner halves are each composed of 8400 turns of 10 helices. Here is further, striking confirmation of the fundamental relevance to superstring theory of the UPA's structural parameter 16800 paranormally discovered by Annie Besant & C.W. Leadbeater through their remote-viewing of subatomic particles. As a structural building block of the 600-cell, each of the seven geometrical elements in a triangle is repeated 2400 times in the separate triangles that form the 2400 faces of the two 600-cells. Every element in these 2400 separate triangles manifests in the E8×E8 heterotic superstring described by the two Theosophists as one of the 16800 turns of a helical whorl of the UPA. This is remarkable evidence supporting the objectivity of their micro-psi ability. No sceptic can argue with an iota of plausibility that this matching of numbers could be just coincidence, especially as these 16800 geometrical elements contain the 1680 vertices & edges of the 2400 faces of the two 600-cells — the very number of turns in each helical whorl! Notice that the 2400 separate triangles comprise 7200 corners and 7200 sides. Apart from the factor of 10, this pattern appears in the outer and inner Trees of Life as the 240 yods other than Sephiroth in the 1-tree with Type A triangles and the 720 yods surrounding the centres of each set of seven separate polygons that make up its inner form (see Fig. 7 in #1). As shown in Fig. 7, the 240:720:720 division also manifests in the first four Platonic solids and in the disdyakis triacontahedron. It is a basic expression of the 1:3:3 division of the seven Sephiroth of Construction into a singlet (Malkuth) and two triads (Chesed-Geburah-Tiphareth & Netzach-Hod-Yesod). 14 14 14 14 . The two tetractyses within the brackets are the first two terms within the brackets for the expression of the number 16800. 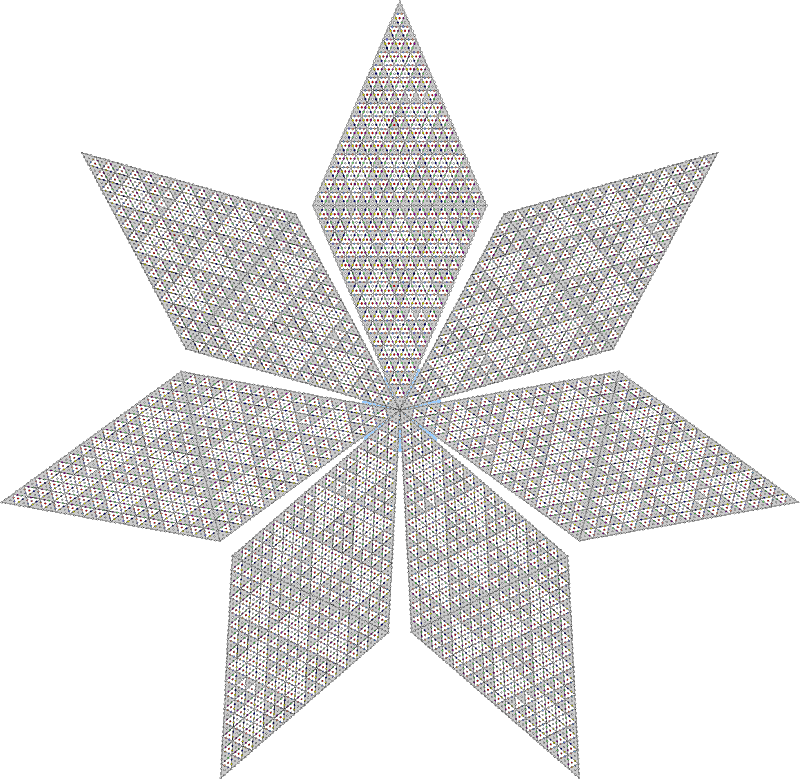 The 7-pointed star representation of the superstring structural parameter 16800 is also discussed here.